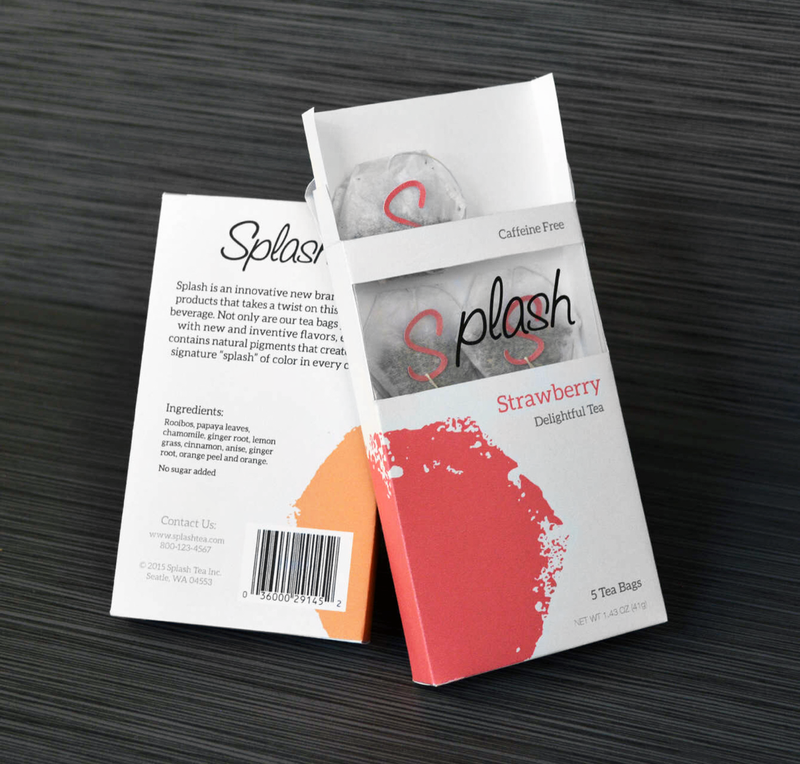 For my final project in packaging class, I created the concept and branding for a line of tea products named Splash. The following are the final packaging results from the assignment. 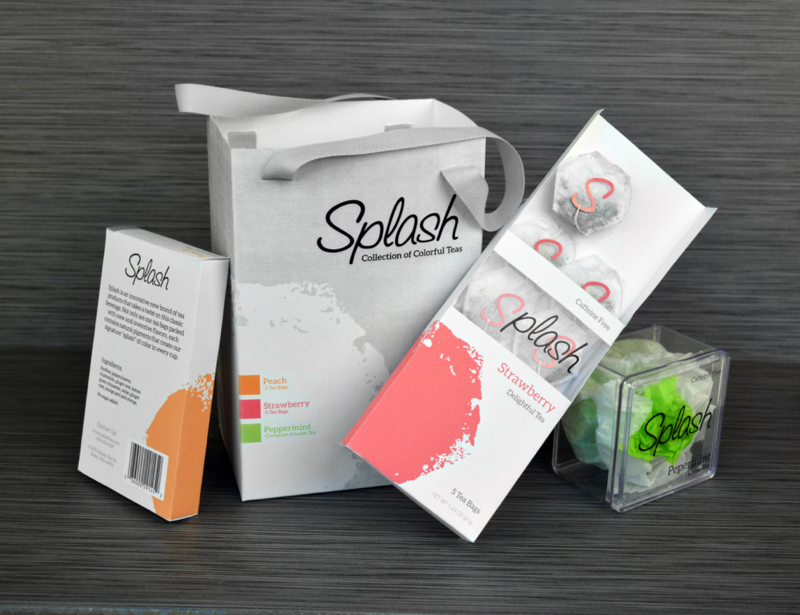 Splash is an innovative new brand of tea products that takes a twist on this classic beverage. 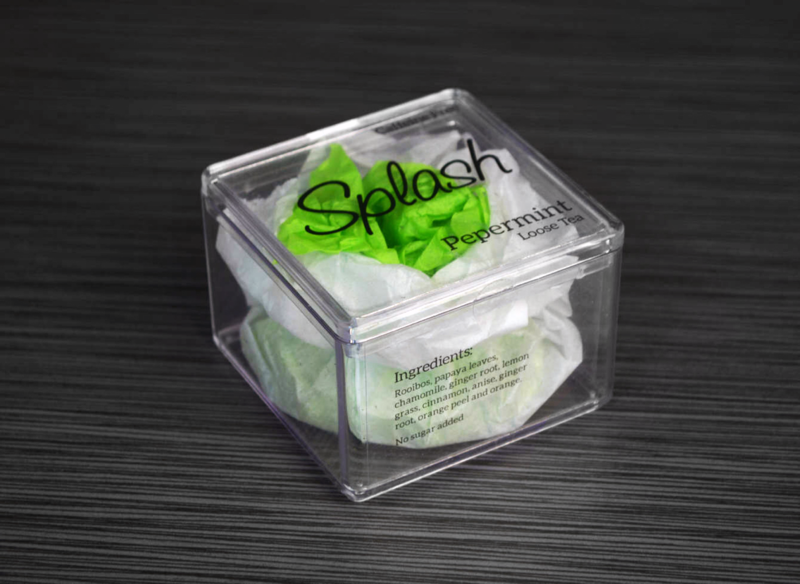 Splash products come in fresh and inventive flavors, and contain natural pigments that create the signature “splash” of color in every cup. 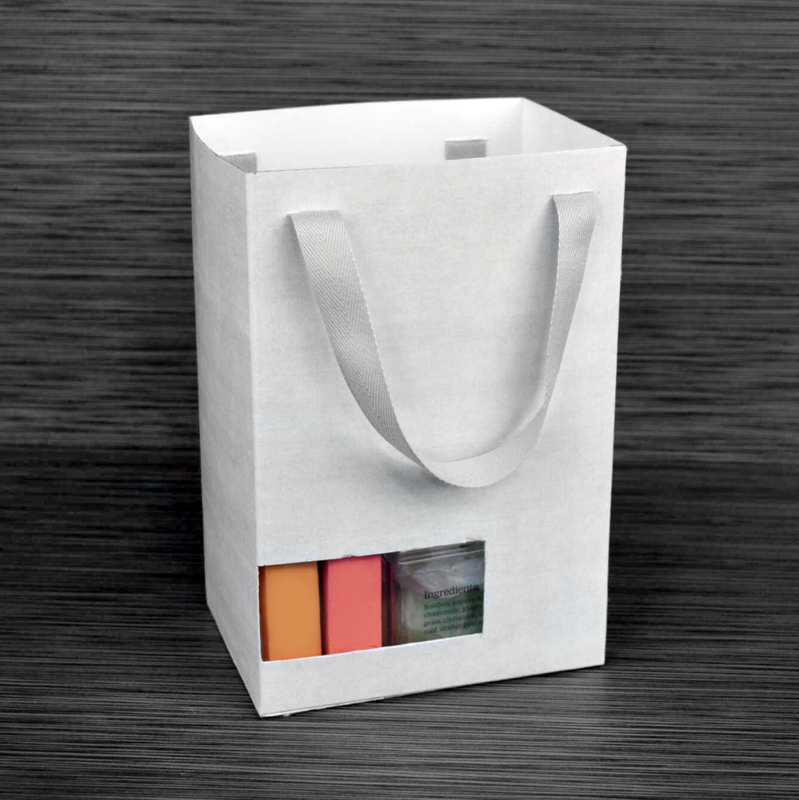 All of the products are conveniently held together in a gift bag, which creates a professional, high end package for the tea, and allows for easy transportation. The vibrant green layer of the tea pouch portrays the flavor and splash of color in the loose tea. 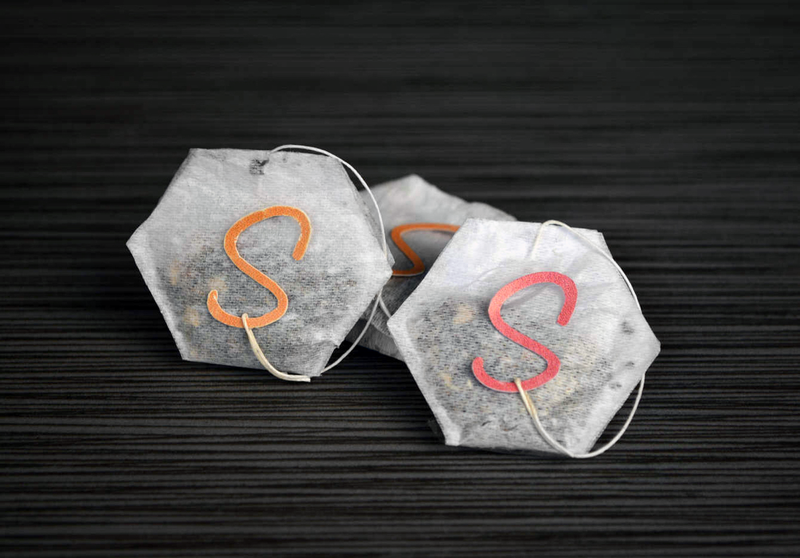 On each box of teabags, the logo is printed on a translucent panel with the S missing. Then, on the inside, the tea bag within the tray lines up to fulfill the brand name. Each tea bag string has a 'S' attached to it which hooks onto the edge of a tea cup and holds the tea bag in place, preventing the string from falling into the tea.